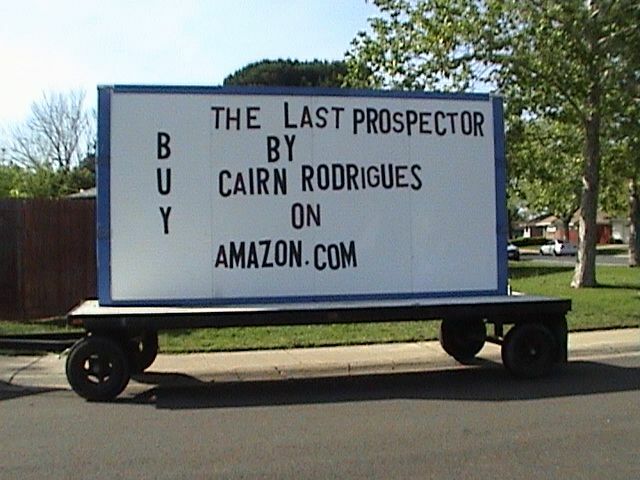 Just as I promised, the mobile billboard is going to ride again. I took this opportunity to get it out of mothballs and have a test run. You've heard of a movie trailer? 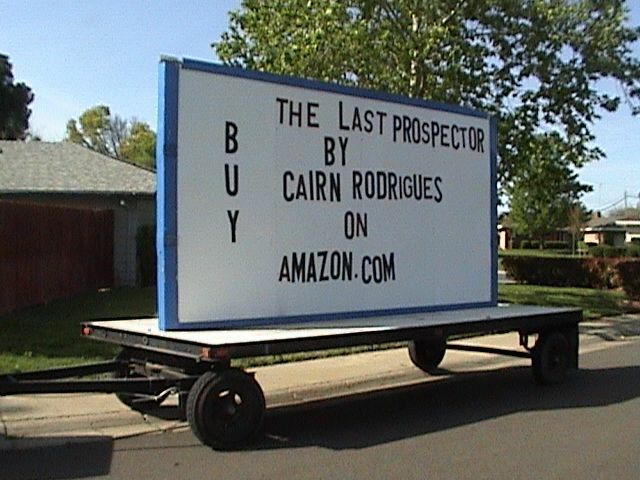 Well, one of my sisters wrote a book and wanted to advertise it by means of a "book" trailer. I let her decorate it up, but she left it simple.